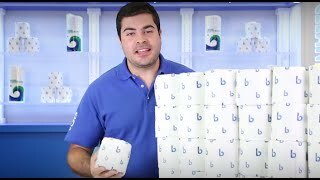 Boardwalk is the economical choice when you want quality bathroom tissue that doesn't break the bank. Each roll is individually wrapped to keep them clean and dry in storage and transport. Ideal for use in residential or commercial bathrooms. This 2-ply toilet tissue has 400 sheets per roll with a sheet size of 4" x 3". Includes 96 rolls so you're sure to always have refills. 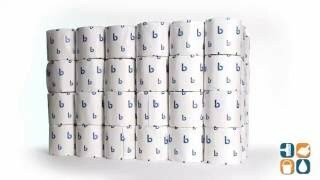 Order Boardwalk 2-Ply Toilet Paper today and save. Buy more and save more! This is great TP. I would like to add that I ran out of this few months back and did a quick order for the same product number off amazon, and the TP was aweful. Same item number , but the quality was wretched. Two weeks ago i made my regular order with CIS and ordered the TP and it got here and is again the quality I am used to . Not all vendors have the same quality even if it is the same item number. I knew the individual sheets would be smaller but they are reasonably soft. Will probably take more for the job but a good price notwithstanding.